With Pope Paul VI and St Benedict, our Church leaders have two excellent examples of how to engage in true dialogue with the people of God and with society, writes Good Samaritan Sister Clare Condon. At present I am in Nebraska, USA at a women’s Benedictine monastery where, as one of 30 Benedictine Sisters, I am engaged in a study program on the Rule of St Benedict with the internationally acclaimed scholar, Sister Aquinata Bockmann OSB. Coincidently, I am in the USA at a critical time for the Leadership Conference of Women Religious (LCWR). This Leadership Conference, which represents over 80 per cent of women religious in America, has been admonished by the Vatican Congregation for the Doctrine of the Faith about some aspects of the Church’s teaching following a Doctrinal Assessment undertaken by Bishop Blair of Toledo, Ohio. As I study, discuss and mingle with a group of American Benedictine Sisters and follow media reports, I am hearing sadness and disappointment from many, and a cry of “Why us who serve the Church faithfully and through our membership have done so for decades if not centuries?” “Why us?”, when the Church in the USA has so many real problems, among them, trying to address a history of clergy abuse and inadequate responses across a number of dioceses; and facing the fact that thousands of Church members are leaving the practice of their faith because of a disillusionment that comes from the official Church’s inability to engage in a productive dialogue about many issues, including scientific developments and philosophical ideas emerging in our time and our world. I reflect as an outsider on this process of assessment of the LCWR. I am struck by what has appeared (up until the meeting between the Leadership of LCWR and the Cardinal Prefect of the Congregation for the Doctrine of the Faith on June 12) to be a lack of real dialogue from the Vatican authorities. A media statement from the LCWR President refers to “unsubstantiated accusations and flawed processes” within the Vatican report “and scandal and pain” within the broader Church. 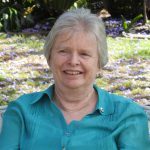 In an interview, Pat Farrell OSF, the LCWR President also said, “We want to respond with integrity, for the good of religious life for ourselves and around the world, and for the good of the Church. We want to talk to [the Vatican representatives] in a climate of genuine dialogue”. With this hope and a determination in their hearts and minds, representatives of the LCWR travelled to Rome on June 12. Based on media statements, it appears that progress was made. The scandal and pain of the women religious has deeply touched many of those men and women who have remained in the Church in these troubling times – people who have experienced the dedicated service of women religious in schools, hospitals, welfare institutions, pastoral settings and spirituality centres. Such is their concern they initiated nationwide rallies of support for the sisters on June 8 in many US cities. Dialogue is an example of the art of spiritual communication. Its characteristics are: clarity above all… the dialogue supposes and demands comprehensibility… dialogue is not proud, it is not bitter, it is not offensive. Its authority is intrinsic to the truth it explains, to the charity it communicates, to the example it proposes; it is not a command, it is not an imposition. It is peaceful; it avoids violent methods; it is patient; it is generous. Trust is not only in the power of one’s words, but also in an attitude of welcoming the trust of [the other]. Trust promotes confidence and friendship. In the dialogue conducted in this manner, the union of truth and charity, of understanding and love is achieved. In the study program I am currently undertaking, we are examining the Rule of Benedict in detail. St Benedict, in chapter three, addresses the very reality of coming to decision-making in the community through dialogue. He exhorts the Abbot to present the facts, to gather the information, to seek the advice of ALL the community, to turn this advice over and over and to weigh it up in prayer and with Scripture. It is only after such a spiritual encounter between all those involved and affected that a decision can be forthcoming. Benedict finishes this chapter with the words: “Do everything with counsel and you will not be sorry afterward”. With both Pope Paul VI and St Benedict, our Church leaders have two excellent examples of how to engage in true dialogue with the people of God and with society. The current challenge for our Church leaders is not to use blunt instruments through condemnation and censorship by force of power and authority. They need to engage with a society that is changing at a rapid rate with new scientific and medical discoveries and consequently new philosophies. There has always been the prophetic role within the Church community and we need to listen to it; to acquire all the facts, to bring these facts to the Word of God and to prayer in a spirit of respectful dialogue, rather than condemnation. In this current conflict with the LCWR, the challenge for our Church leaders is also to appreciate the competency and capacity of women religious to live with authenticity and within the tradition and charism of their founders. I believe it is only in an environment of true dialogue that participants will find “the union of truth and charity, of understanding and love” that they seek, and then, as Benedict so wisely predicts, there will be no sorrow afterwards (cf Rule of Benedict, 3).